Trimble Juno T41 Mobile Computer	The Juno T41 offers combined feature options to provide customers the handheld that meets their specific needs in the field: Enhanced GPS, 1D/2D barcode imaging, Smartphone capability or not, choice of Windows or Android operating systems, rugged dust and water ingress protection ratings of IP65 or IP68 and now: Ultra-High Frequency RFID, all with the standard data collection functionality built into the Juno T41. 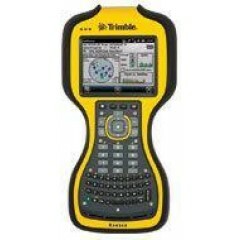 Trimble Recon Mobile Computer	The Trimble Recon handheld computer is a low cost productivity solution that helps mobile workers get more done in the field. 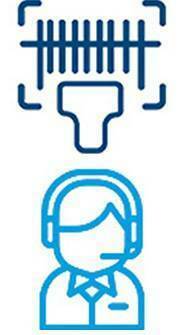 Available integrated Bluetooth and 802.11g wireless keeps you connected. Versatile Microsoft Windows Mobile 6 software will run your customized applications. 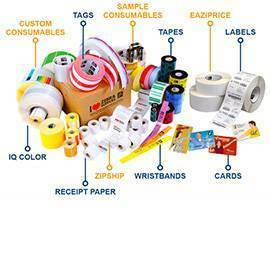 Competitive pricing keeps costs under control. The Recon is the perfect platform for "get the job done" performance. Compact, lightweight and built tough, Recon's outdoor rugged design packs the durability and reliability of ultra rugged into a compact frame weighing just 1.08 lb (17 oz). The Recon meets rigorous MIL-STD-810F military standards for impact, vibration, humidity, altitude and extreme temperatures. It also comes with an IP67 rating. That means the Recon handheld is completely sealed against dust, and it can survive temporary immersion in water. 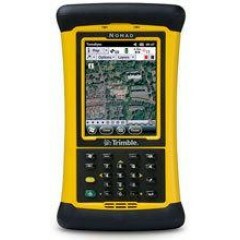 Trimble Nomad Mobile Computer	The Trimble Nomad series of integrated GNSS handhelds offer all-in-one convenience in a device engineered for superior performance in harsh environments. They offer full compatibility with Trimble Mapping & GIS software and a choice of configurations to match your existing workflow. 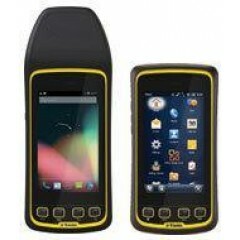 The Nomad series handhelds feature a huge 6 GB of Flash storage, 128 MB of RAM, a powerful 806 MHz processor, Wi-Fi and Bluetooth wireless technology connectivity, a SecureDigital (SD) slot for removable cards, and a 3.5 inch (8.9 cm) VGA display. 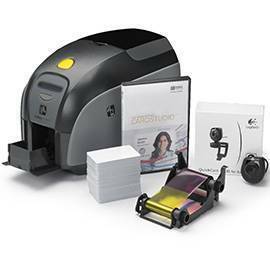 With a variety of configuration options, including a cellular modem, 5 megapixel digital camera with integrated flash, a laser bar code scanner, and USB expansion options, the Nomad 900G series provides a range of all-in-one solutions for field data collection and asset management activities. 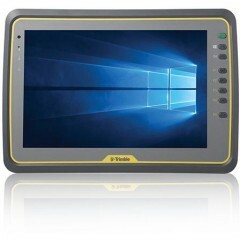 Trimble Yuma 2 Tablet	The Trimble® Yuma® 2 rugged tablet computer is designed for ease of use and high performance mobility. 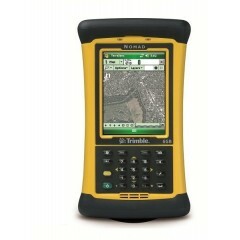 Great for GIS applications - it's like bringing a complete PC out into the field. The big bright screen makes it easy to view and use detailed maps, and with more processing power, it is fast. 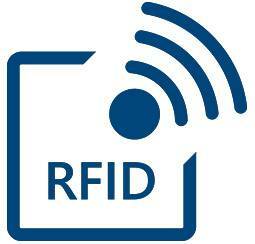 Safeguard your data in the face of dust, sand, mud, humidity, and extreme temperatures. Collect information, capture photos, and communicate with headquarters, all with the assurance that your data is protected. 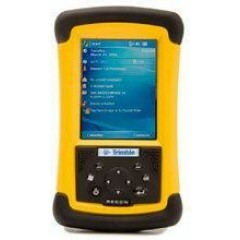 Trimble Ranger 3 Mobile Computer	The Trimble Ranger 3 series outdoor rugged handheld computer has the features field service workers depend on, like a 30-hour battery, an alphanumeric QWERTY keypad and a large touchscreen. The Ranger 3 is a true mobile computing powerhouse with an advanced superscalar processor and many integrated features that enable mobile workforces to collect and transmit data from the field. You choose the optional features that are right for you. Trimble Kenai Tablet	The new Trimble Kenai, a fully rugged tablet featuring the Microsoft Windows 10 Professional operating system and a large 10.1” display screen that is capable of full-color images even in the brightest sunlight. 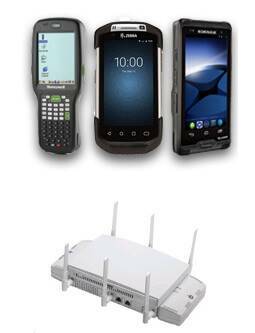 The Kenai provides connectivity including Bluetooth®, Wi-Fi and optional 4G LTE dual-mode data cloud-capability. 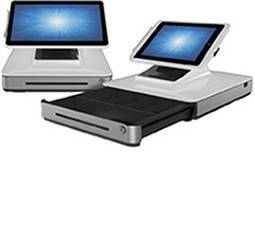 Its hot-swappable battery lets users keep working long after consumer-grade tablets would fail. The Kenai tablet is ideal for mobile workers who need to utilize large forms and color-coded information such as technical specifications, and is rugged enough to last for years of use even in harsh conditions. It meets the tablet computing needs of businesses in natural resources, utilities, transportation, agriculture, public safety, surveying, construction, mapping, field service, utilities, and other outdoor or service-related fields. Its fully-rugged design also allows the computer to be cleaned for use on the floor of food and beverage processing, so safety can be monitored and audited comprehensively. 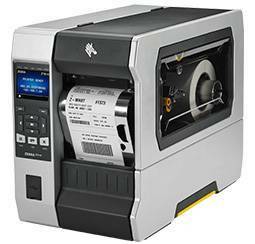 In addition to standard USB ports, it comes with an RS 232 Serial Port that allows it to connect with many industrial and manufacturing machines, significantly aiding productivity and eliminating costly downtime. This is the tablet for those mobile workers who need a computer they can count on no matter where the job takes them, or how long they have to stay in the field to get the job done. 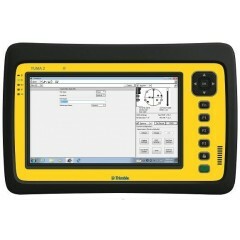 Logiscenter is a reference partner of Trimble United Kingdom. 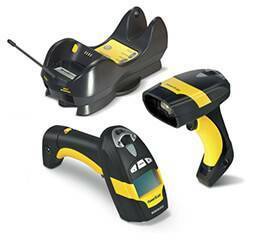 This partnership with Trimble allows us to offer you the best prices, stocks, delivery, and technical assistance.